If someone had asked us to highlight an element that serves to characterize Galicia, we surely would choose its landscape. If we should be more concrete, we would divide the Galician landscape into its most unique elements which are the sea, the stone and the vegetation. This time we talk about the combination of this trio of aces landscape in enclaves with little or no human intervention: the waterfalls or fervenzas. 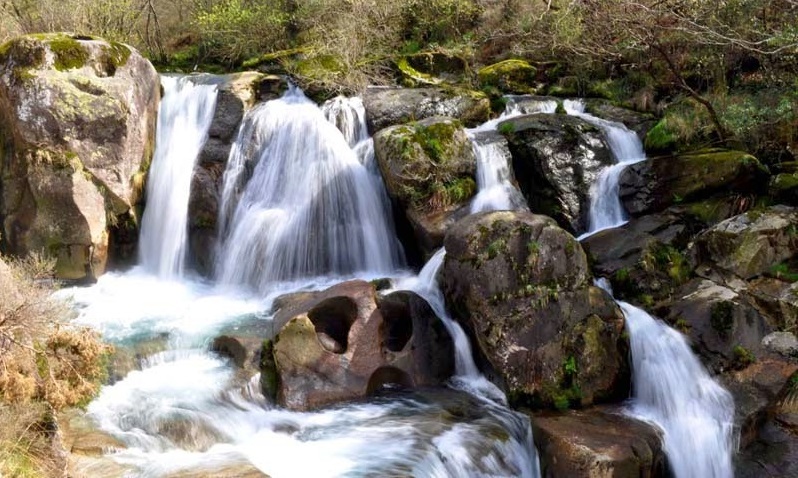 And it is that the Galician rivers, abundant flow due to the large annual volume of rainfall, they encounter along its route with high and steep rocky slopes, leading to one of the most beautiful natural prints. 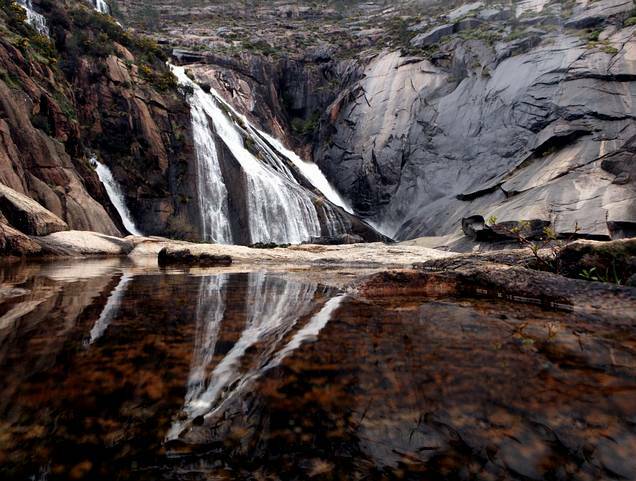 In Five Sensations, we make a selection of the most impressive waterfalls of Galicia. With a height of 60 meters and a width of 5 meters, this waterfall is located in the Ulla-Deza River System, a unique natural environment contained in the Natura 2000 network as a Site of Community Importance. Within the heterogeneous surrounding vegetation there are species like oak, pine or Scotch broom. The water, falling strongly, forms a kind of hazy which if you are standing nearby taking some pictures, can damage your camera lenses. 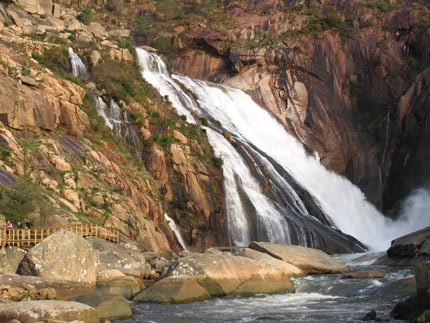 O Ézaro parish, located in the municipality of Dumbría, in the province of A Coruña, has one of the largest waterfalls in Europe. In it, the river Xallas flows into the sea, forming a spectacular waterfall, something unique in the old continent. But the enormous visual appeal of this natural formation of 40 meters is not his only quality since, for years, it has starred in countless legends about supernatural powers, incantations or princesses. 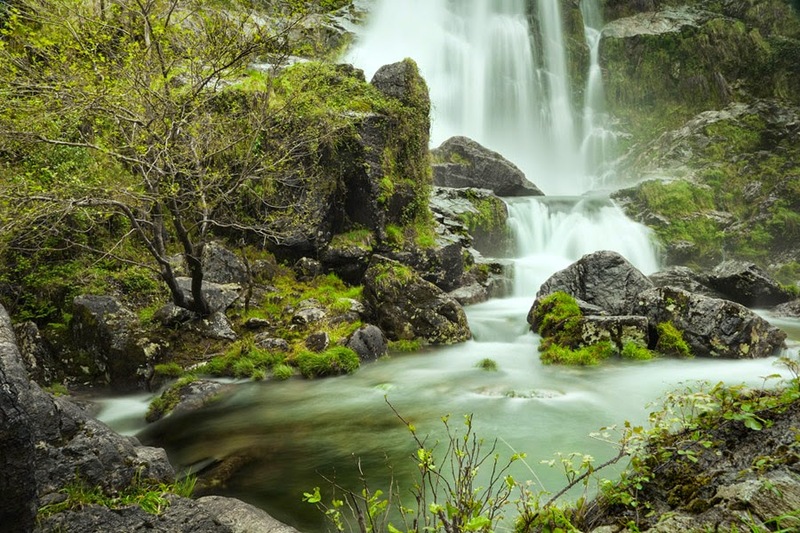 Located within walking distance of the Fragas do Eume Natural Park, this waterfall is one of the most spectacular yet unknown of Galicia. This waterfall is 45 meters long and it has a greater beauty in the fall and winter months, in which the flow of the river Belelle greatly increases. 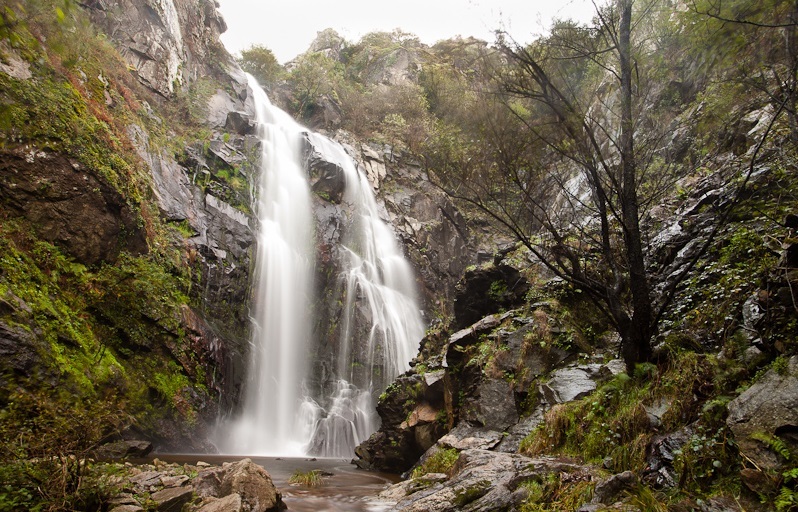 In addition to this impressive waterfall, the area has enabled routes for hiking. The Arcos River, a tributary of Xallas, leads to a beautiful waterfall that runs through the slopes of a set of pink granite rocks that shape the relief of a place with charm. The huge visual plasticity of this waterfall, which occurs at a height of about 10 meters, makes the natural setting in which it is located is one of the most valued by both professional and amateur photographers. This waterfall is located on the river Mira, just before this pour its water into the river Xallas. 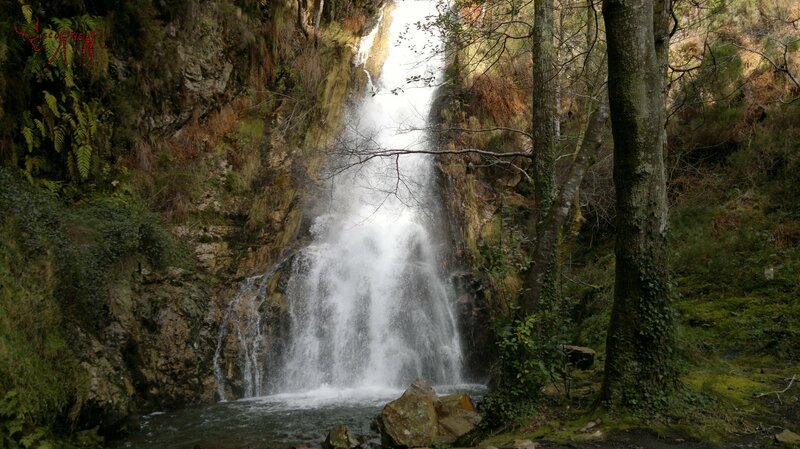 If anything makes this waterfall special is the fact that it is surrounded by water mills, which are open to the public and where yoy can see how flour was ground in rural Galicia from the eleventh century until the nineteenth century. 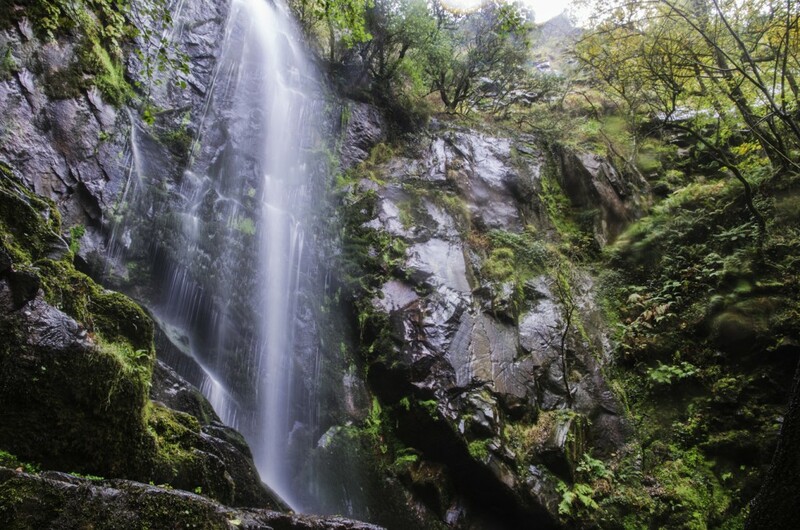 In addition to the equity interest in the area, its flora and fauna formed by species such as trout, dragonflies, laurels or the ash, make Castriz waterfall is one of the most valued of Galicia. Unlike others, this cascade of 15 meters high is easily accessible, which makes it an interesting claim for both nature lovers and for the curious people who dare to enjoy one of the most breathtaking landscapes of Galicia. At the foot of the cascade there is a kind of pond water that becomes a sort of natural spa. The location of this waterfall, in the middle of Ribeira Sacra, could not be better. Despite this and its paradisiacal beauty, it is one of the lesser known enclaves of this area, in part by the steep sections that must be saved to access. 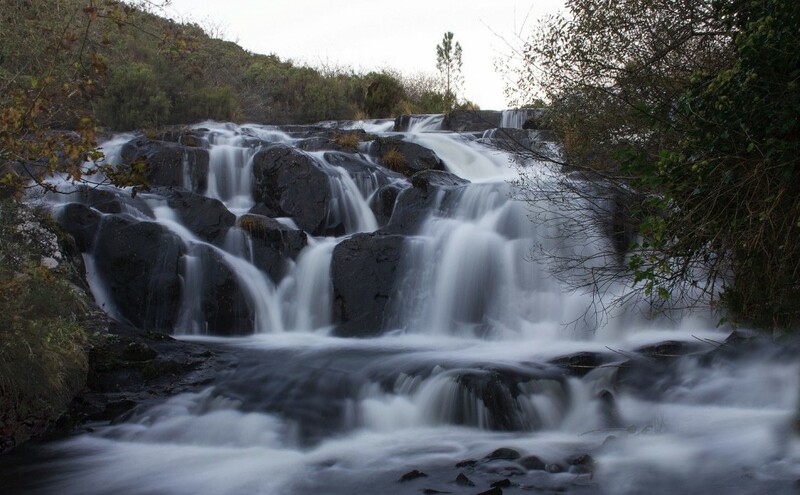 The route that leads to this waterfall of the river Aguianza with almost 40 meters, allows us to see some of the magical places of the interior of Galicia–old wineries, historic sanctuaries, unique landscapes… –.